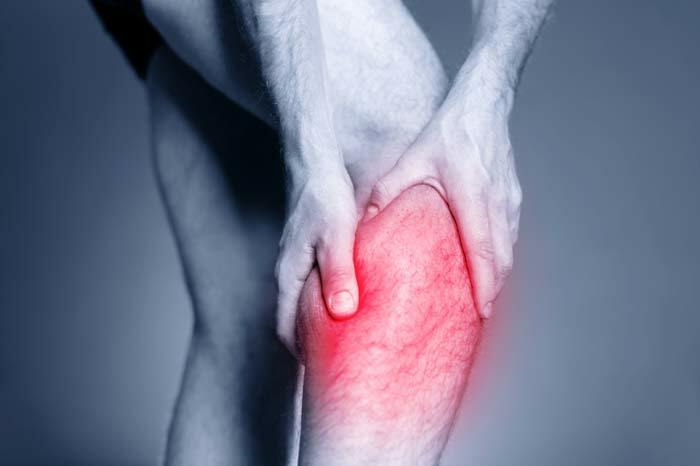 Anyone who works out experiences muscle pain or discomfort at some point. But there’s a difference between muscle pain and an injury, which can put you out of commission for weeks or even months. Following are some tips on how to avoid hurting your muscles during or after training. Warming up raises temperatures in your body and muscles which helps prevent injuries, according to “The Boston Herald.” It also gets the blood flowing to muscles, preparing them for rigorous exercise. Spend at least 10 or 15 minutes before your workout riding the exercise bike or stretching your muscles. Also, start with light weights for each exercise that you can easily lift 10 or 15 times. Make sure you know how to perform each exercise when training. For example, when bench pressing, keep the bar level as you lift it. Don’t arch your back or force one side up before the other. These imbalances place more stress on the muscles that bear the brunt of the work, which can hurt those muscles. One way to ensure that you’re lifting correctly is to hire an expert trainer, such as Nick Di Ruscio, who can instruct you on technique. Eat high protein foods when training, such as lean meats, poultry, fish and beans. Your body relies on protein to repair muscle fibers. Without it, you risk muscle fatigue and injury. Eat foods high in vitamins A and C, which have healing properties. Avoid eating junk food because these highly acidic foods can hurt your muscles.